Update 2/20/17: Replaced Cat Rambo's Red in Tooth and Cog with Bonnie Jo Stufflebeam's The Orangery due to SFWA correction. 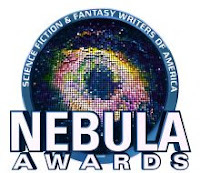 Here is the annotated 2016 Nebula Awards Nominees for short fiction. There’s also the Annotated 2016 Locus Reading List for Short Fiction.